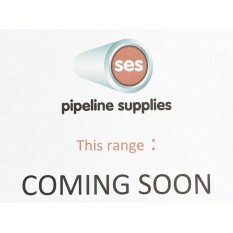 At SES we supply various types of flanges. These include plate,slip-on,screwed and blank in Steel and Stainless Steel together with stub, solvent weld and blank in Plastic. Press-fit and Bi-metal compliment this range. 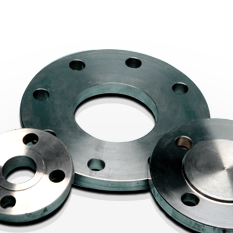 Carbon Steel ASA 150 Slip on flange 4 & 8 hole ..
SES Bi-metal flange BS4504 PN16 Also available with BS4504 PN6 and BS10 table E drilling .. Mild Steel BS10 Table 'D' Slip on welding flange 4 hole ..
ABS Imperial stub flange plain / plain ..
Galvanised screwed flange, screwed bsp female, driiled to BS10 Table 'D' / 'E' .. 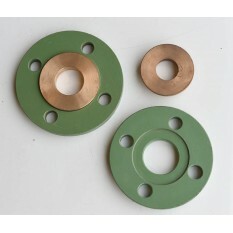 Mild Steel BS4504 PN6 Slip on welding flange 4 & 8 hole .. Mild Steel BS10 Table 'D' Screwed flange 4 hole ..
ABS Imperial full face flangeBS10 Table 'E' .. Carbon Steel ASA 150 Blank flange 4 & 8 hole .. Mild Steel BS4504 PN6 Screwed flange 4 & 6 hole .. Mild Steel BS10 Table 'D' Blank flange 4 hole .. Mild Steel BS10 Table 'E' Slip on welding flange 4 & 8 hole .. Mild Steel BS10 Table 'E' Screwed flange 4 & 8 hole .. Carbon Steel ASA 300 Blank flange 4 & 8 hole .. 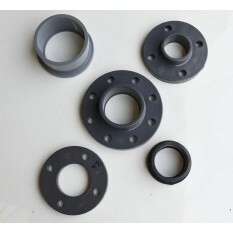 Mild steel BS4504 PN16 Slip on flange 4 & 8 hole .. Mild Steel BS10 Table 'E' Blank flange 4 & 8 hole .. 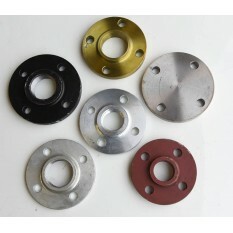 Mild Steel BS4504 PN16 Screwed flange 4 & 8 hole .. Mild Steel BS10 Table 'E' Slip on flange 4 & 8 hole .. 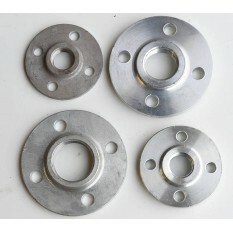 Mild Steel BS4504 PN16 Blank flange 4 & 8 hole .. Mild Steel BS10 Table 'F' Screwed flange 4 & 8 hole .. Mild Steel BS10 Table 'F' Blank flange 4 & 8 hole ..